In addition to making it infinitely easier and faster to access information, there are nine more substantial benefits to storing your paper documents electronically that justify an investment of a document management solution. Can you name them? 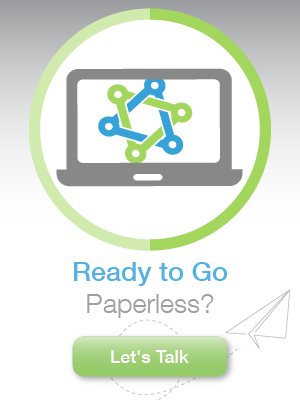 One of the best ways to “green” your operations is by going paperless. Not only does it have a positive impact to your bottom line but it also promotes goodwill among customers, constituents, employee, and shareholders. Learn more about paper’s impact on your company and the environment and what you can do to change it. When financial managers hear the word “audit”, they immediately think about the long hours it requires preparing for the task and the files they have to dig through. Be prepared by having all supporting information at your fingertips so that you can quickly and easily be able to provide your auditor with the information requested. Learn more about being prepared for an audit by downloading the white paper today.